Agriculture, which generates two-third of the employment and one-third of the GDP in Nepal, is an important sector since Nepal is a small, landlocked country with low income. The government enacted the National Agriculture Policy in 2004 (NAP-2004) as an umbrella policy in the agricultural sector to guide all sectoral policies coming in the future. The paper has examined NAP-2004 by using the Strength, Weakness, Opportunity and Threat (SWOT) analysis technique. For the analysis, secondary data, the publications of the government and the international organizations as well as peer-reviewed articles were reviewed. The strength and weakness were analyzed by using nine different indicators. The results of the paper will be instrumental for improvement of the agricultural policy. ADB (2009). Agriculture and Natural Resources Sector in Nepal, Asian Development Bank. ADB (2016). Basic 2016 Statistics, Manila: Asian Development Bank (ADB). CBS (2013). National Sample Census of Agriculture Nepal 2011/12, Kathmandu: Central Beureau of Statistics, National Planning Commission, Government of Nepal. CBS (2015). Nepal in figure. Kathmandu: Central Bureau of Statistics, National Planning Commission, Government of Nepal. FAO (2010a). Agricultural Extension Services Delivery System in Nepal, Pulchowk: Food and Agriculture Organization of the United Nations. FAO (2010b). Integration of Gender in Agriculture: An Analysis of Situation, Pulchowk: Food and Agriculture Organization of the United Nations (FAO). Haefele S, Bhattachan B, Adhikari B, Abon Jr C, Shresta S (2014). Spatial variability of fertilizer management and response in rainfed rice of Nepal, J. Agriculture, Ecosystem and Environment. 190-198. Helms M M, Nixon J (2010). Exploring SWOT analysis- where are we now? A review of academic research from the last decade, J. Strategy and Management. 3(3):215-251. Joshi N P, Maharjan K L (2008). A Study on Rural Poverty Using Inequality Decomposition in Western Hills of Nepal: A Case of Gulmi District, J. Internatinal Development and Cooperation. 14(2): 1-17. Maratovna A D (2014). Impact factors of education policy in Kazakhstan: SWOT-Analysis, Procedia-Social and Behavioral Science. 414-416. MoAC (2010). National Agriculture Sector Development Priority (NASDP) for the Medium -Term (2010/11-2014/15), Kathmandu: Ministry of Agriculture and Cooperatives. MoAD (2014). Agricultural Development Strategy (ADS) 2014, Kathmandu: Ministry of Agricultural Development. MoAD (2015). Statistical information on Nepalese agriculture 2014/2015, Kathmandu: Ministry of Agricultural Development. MoF (2016). Economic Survey 2015-2016, Kathmandu: Ministry of Finance, Government of Nepal. OECD (2008). Agricultural Policy Design and Implementation: A Sysnthesis, Organization for Economic Co-operation and Development (OECD). OECD (2009). Evaluation of Agricultural Policy Reforms in Japan, Organization for Economic Co-operation and Development (OECD). Schwab N, Schickhoff U, Fischer E (2015). Transition to agroforestry and significantly improves soil quality: A case study in the central mid-hills of Nepal, J. Agriculture, Ecosystems and Environment, 57-69. Schwilch G, Adhikari A, Jaboyedoff M, Jaquet S, Kaenzig R, Liniger H, Upreti B R (2017). Impacts of outmigration on land management in Nepal mountain area, J. Identifying emerging issues in disaster risk reduciton, migration, climate change and sustainable development (pp. 177-194). Springer International Publishing. Scolozzi R, Schirpke U, Morri E, D'Amato D, Santolini R (2014). Ecosystem services-based SWOT analysis of protected areas for conservation strategies, J. of Environmental Managment, 1-9. Sharma K, Khanal S N (2010, November). Issues Related to Land Tenure and Agriculture In Nepal, J.Kathmandu University Journal of Science, Engineering and Technology, Vol.6(No. II): 133-141. UN (2013). Country Policy Analysis: Nutrition Impact of Agriculture and Food Systems, Nepal. United Nations System, Standing Committee on Nurtition. Wagle T P (2016). 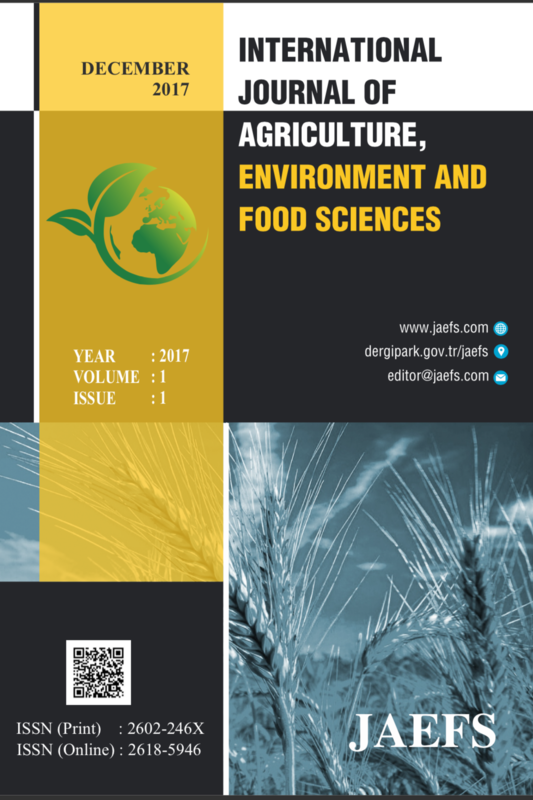 Government expenditure in agriculture sector of Nepal: An empirical analysis, J.Global Journal of Agricultural Research, 1-12. Zhang Y, Feng L (2013). Development assessment of leisure agriculture in Henan provience of China based on SWOT-AHP method, J. Industrial Engineering and Management, 642-653.